The Minority Rights Group International video earlier this month. As Anzac approaches and Australians and New Zealanders remember those who fought and lost their lives on Anzac Day, it is hoped we will also remember the unfree people of the Pacific region and in particular those who are still suffering from human rights abuses in the ongoing conflict in West Papua. 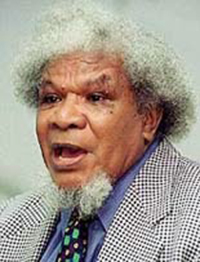 Chief Theys Hiyo Eluay, the chairperson of the Papuan Presidium Council, was abducted by Kopassus soldiers on 10 November 2001, shortly after attending an event at the Kopassus base near Jayapura. His body was found the following day showing signs of strangulation. Although at first the military denied its involvement in the killing eventually members of the army’s special Kopassus forces were put on trial. A military court on Monday, 21 April 2003, found seven Kopassus special forces soldiers guilty of involvement in the death of Chief Theys Eluay. However, the soldiers received light sentences of imprisonment ranging from two to three-and-a-half years. The new Minister for Defence Ryamizard Ryacudu in Jokowi’s government who was chief of staff at the time of Theys’ assassination was quoted as saying, “I don’t know, people say they did wrong, they broke the law. What law? In November 2003, Papuan independence leader Yustinus Murib and nine of his men were killed by Indonesian Kopassus troops. Yustinus Murib had sent a letter to various heads of state and the United Nations, calling for a sovereign country to act as mediator between President Megawati Sukarnoputri and the West Papuan independence movement. Although Murib had called for peaceful dialogue with Jakarta to discuss the political status of Papua, he was still killed by Kopassus troops. 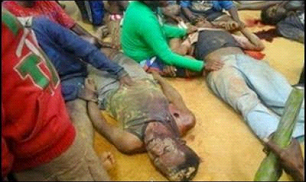 The Indonesian security forces massacred scores of people in Biak , West Papua. The victims, included women and children who had gathered for a peaceful rally. 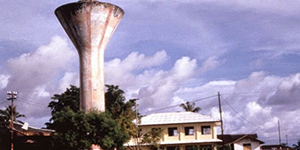 They were killed at the base of a water tower flying the Morning Star flag. Other Papuans were rounded up and later taken out to sea where they were thrown off naval ships and drowned. West Papuans face ongoing human rights abuses, the exploitation of their natural resources with little or no benefit to themselves, the danger of becoming a minority in their own land and an HIV/AIDS epidemic. Joe Collins of the Australia West Papua Association (AWPA) said: “If the Australian government has ignored the plight of the West Papua people, the same cannot be said for the Pacific countries. “The growing support for West Papua by civil society and church groups continues to grow in the Pacific region and hopefully this support is being noted by the Pacific leaders, especially the MSG Leaders.